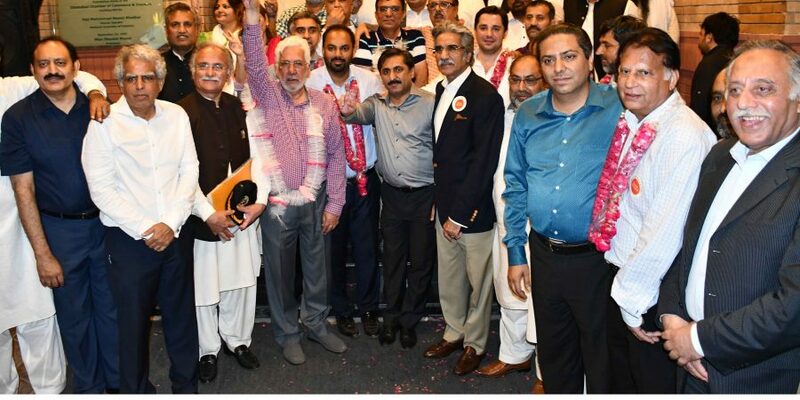 Islamabad ( ) The Founder Group has swept the annual elections of Islamabad Chamber of Commerce & Industry for the year 2018-19 by defeating the Islamabad United Group with a big margin. Founder Group had nominated Muhammad Ahmed, Ch. Muhammad Tahir, Mian Arif Husain, Sheikh Muhammad Ilyas, Muhammad Sulaiman Arif and Umar Farooq from Corporate Class while Ahmed Hasan Mughal, Abbas Hashmi, Tahir Abbasi, Haji Zafar Iqbal, Zia Chaudhry and Syed Muhammad Amin Pirzada were nominated from Associate Class for the Executive Committee of the ICCI. All the candidates of Founder Group won election with landslide margin. The election for the office bearers of ICCI for 2018-19 would be held on 15th September 2018. Muhammad Shakeel Munir was Chief Election Commission while Abdul Ghaffar Chaudhry and Muhammad Hussain were members. Sheikh Amir Waheed President, Muhammad Naveed Malik Senior Vice President and Nisar Mirza Vice President, Islamabad Chamber of Commerce & Industry congratulated the winning candidates of Founder Group and hoped that as Executive Members of ICCI, they would play effective role in resolving the key issues of business community. They said the landslide victory of Founder Group in ICCI annual elections was reflective of the trust and confidence of the local business community on the good performance of Founder Group. Zubair Ahmed Malik, Chairman, Founder Group congratulated the newly elected Executive Members of ICCI and expressed best wishes for them. 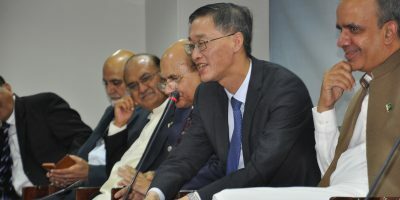 He thanked all ICCI members for voting Founder Group’s candidate into power and hoped that they would deliver up to the expectations of their voters. He also lauded Muhammad Ejaz Abbasi, former President ICCI for performing role effectively as Election Incharge of the Group. 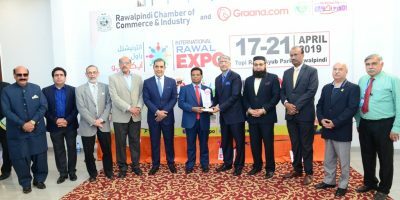 Founder Group members Khalid Javed, Abdul Rauf Alam, Tariq Sadiq, Mian Akram Farid, Mian Shaukat Masud, Khalid Iqbal Malik, Zafar Bakhtawari, Muhammad Ejaz Abbasi, Nasir Qureshi and Ch. Waheed ud Din also felicitated the newly elected Executive Members of ICCI and assured them of their full support in discharging their responsibilities in a professional manner.